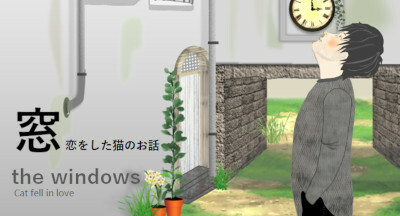 The Windows: Cat Fell in Love is another Japanese point & click escape game developed by Rinnogogo. This is a story about a hat and a cat. Explore all around you and solve puzzles to reach your goal. Good luck and have fun! Note: To make this game play fully, reduce your screen size to 80%: press and hold Ctrl, then press the minus button (-) until screen gets smaller. Otherwise, you will be caught in a scene with no way to return. Hi Daisy, is the website footer in the way of the back arrow? If yes, reduce again. Let me know if this works for you. I reduced to 67% and that worked! I liked the game) Get plenty of similar games! with firefox 90 % is good ! scroll bars to fit resized window was all. Repairs must have been made? It's not loading in Chrome. Stunning, simply stunning. Best "simple" escape game in years. Be sure to play with music. Beautiful. Definitely a rare 5 star game! !